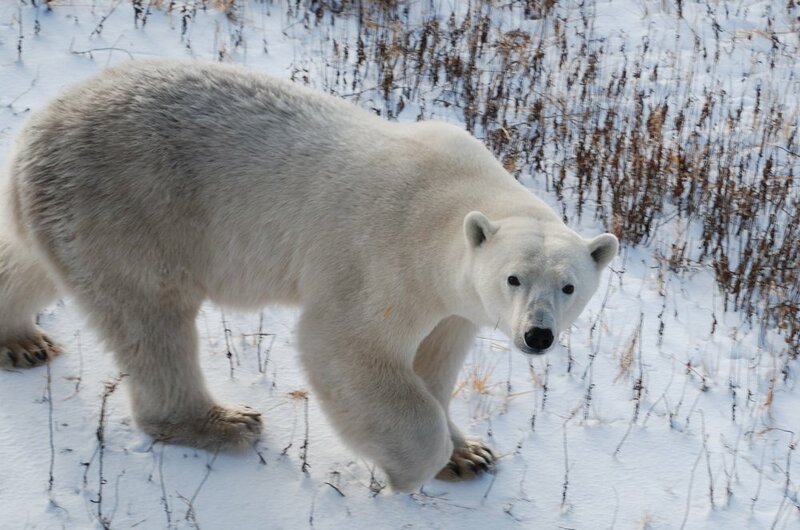 An up close visit with one of the polar bears of Churchill.When we began building ExpedMed, we tried to look for ways to expose medical professionals to Expedition Medicine and Wilderness Medicine experiences in authentic ways. We recruited the best faculty and published an acclaimed textbook to help us present these important topics. In 2009, we began offering CME trips to give our participants "hands on" experience in exotic environments. Our goal was to partner with the best travel companies in the world. Our partners were expected to have not only exemplary records of safety and expertise in their travel programs, but also be committed to eco-friendly policies and sustainable growth practices that invest in local, indigenous poulations. Downtown Churchill, CanadaOur first trip was with Tusker Trail, one of the preiminent safari and trekking companies in Africa. Tusker leads our Kilimanjaro CME trips each year. Our trip was in later October and began in Winnipeg, Canada. Winnipeg is a medium-sized city in which I was able to spend a few days. During my time in Winnipeg I took a recommendation from Urbanspoon and visited Hermanos, a local restaurant. The food at Hermanos was great. I went there twice and got great service and ate the ribeye each time. Fantastic. I even splurged one night and tried their Black Gold dessert which was incredible. Great place to eat. The morning of the trip, our ExpedMed group boarded a shuttle and were transported with the rest of the Frontiers North crowd to a private jet for our flight to Churchill. It was efficient and stress-free. We had plenty of space to spread out and we landed in Churchill without any problems. When we were on the tarmac, the wind was howling and the temperature was noticeably cooler than it was in Winnipeg. 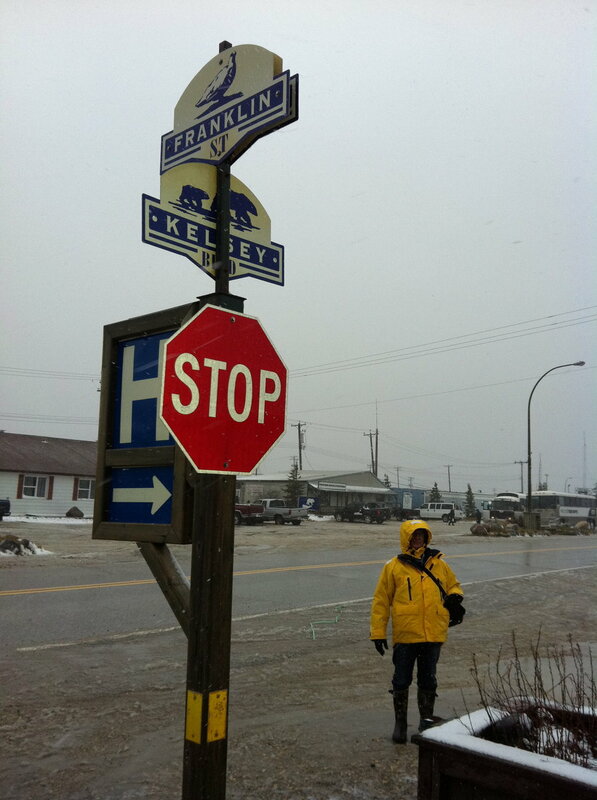 I was ecstatic to finally be in Churchill, a town I had read about years before as an amazing intersection of polar bears and humans. We spent that first day touring the small town and visiting the "polar bear jail," a place where polar bears are sent when they wander into town. Churchill has been dealing with polar bears for so long, they have developed a system for protecting the humans in this remote outpost and also being respectful and protective of the bears. Any polar bear that wanders into Churchill is either tranquilized or, more often, caught in one of the large polar bear traps. Once captured, the bear is sent to the "jail" for a period of time then flown outside the city and released. Late in the afternoon our group boarded a famed "Tundra Buggy" and headed to our lodging for the next few days: the Tundra Buggy Lodge. Those touring Churchill can decide to stay in town or in the Tundra Buggy Lodge. Our group booked rooms in the Lodge so we could get the feel for staying out on the Tundra, in the environment of the awesome creatures we hoped to see. The next few days went by quickly. We spent our days rolling around the tundra looking for bears and the evenings sharing excellent food and good company in the Lodge with our fellow travelers. While Churchill and the Tundra Buggy Lodge were interesting experiences, the bears were the stars, of course. Polar bears are incredible animals, well-adapted to their frozen environment. I had seen a few during my trip to the North Pole in 2008, but these bears were up close-- really, really close. It was a privilege to see these magnificent beasts a few feet away from our Buggy, and a series of moments that I will never forget. At some point in the future I hope to post some more about Churchill, our ExpedMed adventures, and polar bears, but for now I must round this up. I'll finish with a few more photos and a video of one of the big bears as it approached out Buggy heading for a seal carcass.